At Lock 50, we provide the perfect partnership for all your off-site catering needs. From intimate gatherings to grand events, office lunches to wedding parties, and everything in-between, our staff delivers delicious and create cuisine combined with outstanding service. With an experienced staff perfecting amazing dishes, we take great pride providing one of the best catering services in Worcester County and beyond! We use only the finest ingredients and offer plate presentations guaranteed to excite your guests. When you choose Lock 50 to cater your event, you can rest assured you’re choosing a team of experienced professionals deeply committed to your complete satisfaction! Our outstanding service and attention to detail will ensure your event flows smoothly, and our delicious food will leave you and your guests impressed and satisfied! 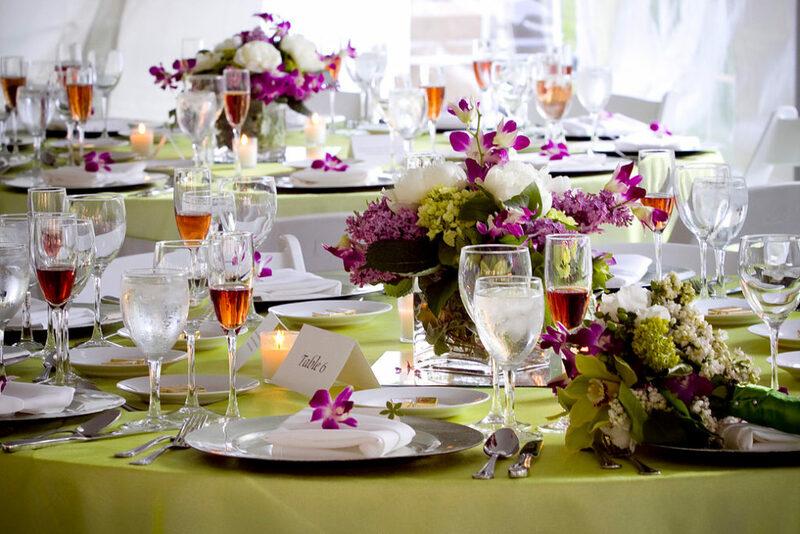 The meal at your wedding reception is one of the most important aspects of your wedding. Let Lock 50 Catering craft an unforgettable meal that you and your guests will remember forever! Our staff will start by understanding your vision for the meal, then create a menu to deliver on that vision. We’ll use fresh ingredients, creative flair and expert craftsmanship to deliver a meal that exceeds your expectations. In addition to providing a perfect meal, we can also handle the other details you need to make your wedding memorable. Let our experienced staff help you plan and select table settings, linens, chair covers, room decor, entertainment, flowers, cakes and more. If needed, we can also provide waitstaff, bartenders and hosts for your special day.